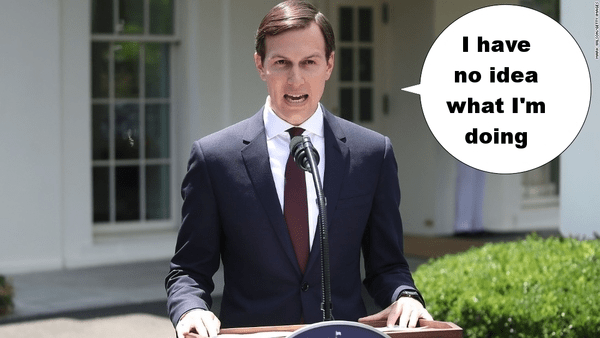 In today’s Tweet roundup: Bus-seat burqas, Jared’s “incompetence” defense, and a cute little puppy! Oh, and there are a few Tweets on the subject of a certain former White House communications director who, you may have heard, lost his job yesterday. We’ll get to those in a second. 7/24:"Trump had a better message and ran a smarter campaign"
Click on the link for this one. The pic in question has been making its way around alt-right Twitter. Scaramucci, Scaramucci, will you do the fandango? Scaramucci is a classic tragic figure brought low by his one fatal flaw: every single thing about him. "In the future, everyone will serve in the Trump White House for 15 minutes." PeeVee – his portrayal of J. Jonah Jameson is a marvel (pun intended). I’ve never seen a comic book character so perfectly depicted by an actor. Fabe – Lex Luthor and the forty cakes?! GET OUT of my HEAD. Bus seats that look innocuous but aren’t really — sounds like a Dr. Who monster. That video pretty much encapsulates why I’ve fallen in love with the show. I think technically she’s “Niqab and Chador Avenger”; but I don’t want to be beaten to death with a textbook so I’m not going to argue with her. Ah those were the days. You would know better than to mess with the Lady in Black when she’s on the attack. And what about a Scaramanga, Mr bond ? Everything is a ‘Leftist” plot don’tcha know? When we’re not plotting ways to advance human society (a.k.a being ‘progressive’), we’re (apparently) plotting ways to make alt-right jackasses out themselves as jackasses.